The most important parameters to measure in your pond or quarantine tank are Ammonia, pH, Nitrite and Total chlorines. Other parameters which are not measured so often include Nitrate and Dissolved Oxygen. As a result, we have put together “Starter Kits” which will target the most important or variable parameters to suit your pocket. Connect to a PC via an USB cable. 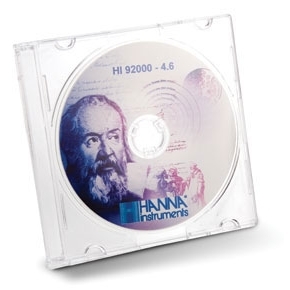 The optional HI 92000 Windows® compatible software helps users manage all their results. 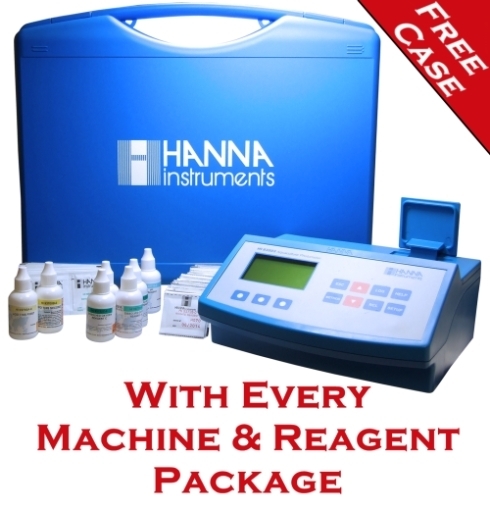 Accommodate more sophisticated optical systems, resulting in greater reproducibility of tests and feature a cuvette compartment door, that eliminates the problem of external light disturbances. Feature a graphic, backlit LCD which greatly enhances user friendliness. The method selection and set up modes are clearly shown on the LCD. 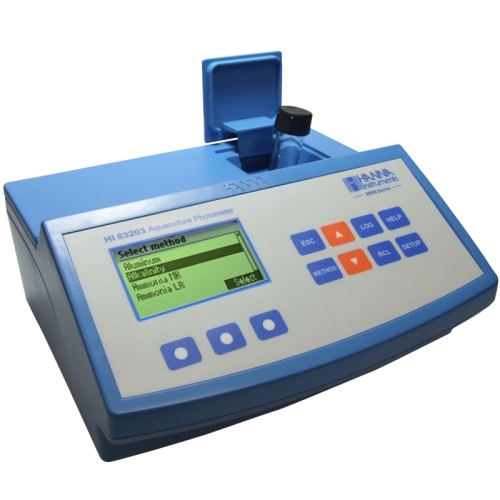 Each method’s measuring procedure is displayed on the LCD taking the user step by step through the process. Additionally, the help screen also list the required reagent sets, accessories and customer support contact information. A great new feature for the C203 are the log and recall functions which allow test results to be recorded and viewed when needed. 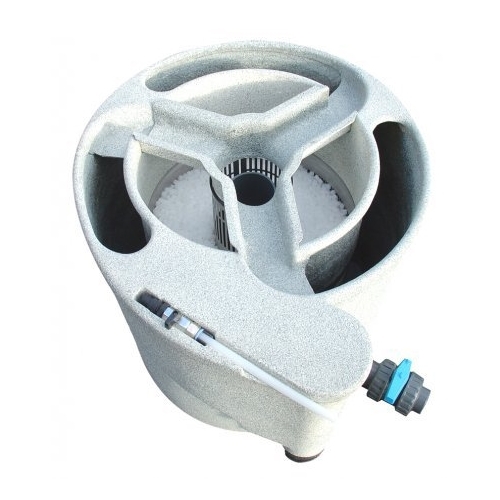 The HI-83203-02 meter measures up to 13 of the most important water quality parameters. We can mix & match any combination of starter kits to suit your specific requirements – please let us know what you require. 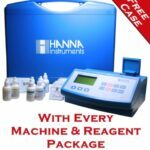 Hanna Hi-83203 Meter (NEW) plus Reagents for 100 tests for Ammonia, 100 Disolved Oxygen, 100 pH, 50 Nitrite & 50 Nitrate tests.